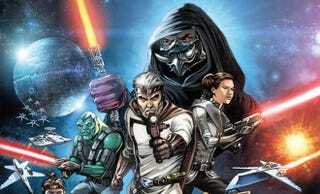 There’s just a few days left before all of Dark Horse’s Star Wars comics vanish from digital sales forever. But luckily, Dark Horse is making it easy to stock up before it’s too late. For the rest of 2014, all Dark Horse Star Wars comics are 50 percent off, and you can buy every single comic — 28,353 pages — for $300, or 80 percent off.